This pages offers all of the currently available certified nursing assistant classes in Arkansas by city. To find out more details about the specific training programs being offered, click on a city link below. From each city link you will find all of the CNA training programs including public colleges, private school facilities, and health care training programs. There you will find additional contact information such as school phone numbers and addresses. In addition you will be able to read about the most recent population, some of the primary facts, local landmarks, and the largest health care facilities in the particular city. The Arkansas Department of Health offers CNA classes in Arkansas and they have one of the best training programs in the state. The course is much shorter and is offered for free for anyone who would like to take it. Finishing a CNA training program is necessary in order to find work as a nursing assistant in Arkansas. Although there are avenues in applying for a certification such as finishing Nursing Principles for nursing students or being a military corpsman, the course offered by the ADH offers you one of the surest ways to find employment. The course is offered by the ADH In-Home Health and Hospice Services department and they have been providing their services to the public for decades already. They have a large base which is able to provide employment to anyone who is able to finish their course and pass the certification exam. The job opportunities that they offer is vast and you also are relieved from the trouble of looking for an employer after graduating from the course. The state of Arkansas has an hourly mean wage of $10 for nursing assistants in their state. The starting salary is at $7.92 or $8 although you can earn as much as $12 per hour if you are more experienced. This amounts to $16,470 to $25,100 annual salary for one who is employed as a nurse aide. Salaries can range from $8.80, $10, $11, and $12 depending on your location and qualifications as well. The more experienced you become, the greater will be your chances of earning more in this type of career. A nursing assistant works under the supervision of a physician or a registered nurse and they assist the patient with his personal activities such as taking a bath, grooming, eating and changing bedding. They also do administer medication as well as take medical history under the supervision of qualified health personnel. There are also other documentation tasks which come with the job as well as spending more hours with the patient more than their nurses or even their own physicians. Hence, you also gain more bonding with the patient. 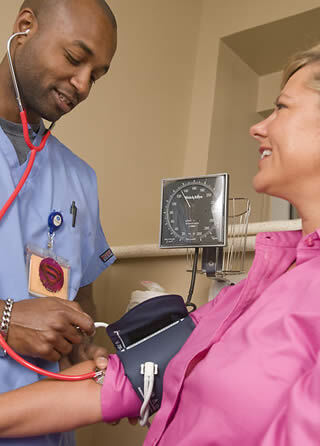 The nurse aide training which is offered by the Arkansas Department of Health will allow you to work in different areas such as Home Health, Personal Care, Mother-Infant, Hospice, and Case Management Services which is offered by their office. The course runs for 40 hours or one week and the training is also being offered for free. The course is offered in Little Rock, El Dorado, Mena, and Camden for this year. You can contact them in order to learn more about the details of the training. The state offers different types of benefits for nursing assistants aside from their salaries. They include free TB Screening, Immunizations, Health Screening, paid in-service training, and even paid holidays. You can also get paid mileage reimbursement for your work. This is a great deal as you do not have to pay anything for the training at all and it only takes a week to finish the course. It’s a good idea to know the requirements to become a nursing assistant in the state of Arkansas before you pursue an education. This way you will not waste time or money by taking a class that is not approved by the state. Click this link to find out the most recent CNA certification requirements in Arkansas. If you know of any CNA classes in Arkansas that are not included on this site, please contact us. In addition if you see any information that is incorrect, please tell us so we can update it for our readers.